The main theme park in the new HBO show Westworld is centered around giving wealthy patrons a realistic (yet safe) western-style experience. The park is populated with very lifelike robotic “hosts” that are programmed to do whatever the attendees want. Here are three characters who always seem strangely calm and collected, no matter what the situation is. So calm and collected it is almost as though they know they’re in a hyper-realistic simulation that cannot have any real world consequences for them. By “James Bond” we’re actually referring to every single Bond and person who has played him. 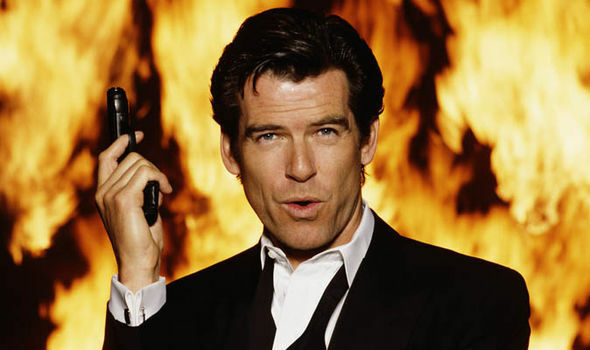 Rather than a code name for MI6 or simply rehashing similar plots with different actors for a quick buck, every person who has been James Bond is a different guy with the same spy-thriller fantasy where they save the world from a giant laser or gold-hungry megalomaniac and sleep with beautiful women. The gadgets, the charm and charisma, everything just magically working out for them in the end, all of this is best explained by the worlds the Bonds inhabit being filled with hosts serving their every need. Even the licence to kill fits Westworld’s “anything goes” style theme park, Bond is able to kill whomever he needs with very little oversight. Who They Really Are: Each one has a similar back story. Wealthy egomaniacs who want to be the “ultimate” man. They live out unimaginative fantasies so similar to each other that the company putting these theme parks to use has a small handful of very similar narratives all with the same protagonist - James Bond. By fulfilling the James Bond role, they’re able to finally be treated the way they feel they deserve. They’re worshipped by their peers and lauded for violently solving their problems. And they’re able to do all of this while being a suave spy capable of saving the world. If any of the Bonds could, they would renounce their normal lives and exist wholly within the family. Star Lord is similar to James Bond, but in space. Though his narrative caters towards a more roguish type that doesn’t run around as a suave spy but rather as a space mercenary that teams up with a group of misfits to save the entire galaxy. The sci-fi world in Guardians of the Galaxy is a natural extension of the ideas of Westworld. If you can create realistic hosts capable of mimicking humans, why not humanoid aliens? Why not large tree creatures or anthropomorphic raccoons? Who He Really Is: The real person who pretends to be Star Lord loves the fun and adventure of the Guardians narrative. However, outside of the narrative he lives a quiet and unassuming life with his wife and three children. Playing Star Lord for a weekend is just a way for him to blow off steam, and it is definitely not the only theme park he visits. To the person behind Star Lord, Guardians is just a very complex and entertaining video game. He’s excited by the new friends and new narratives that are offered to him, but he looks forward to stepping outside of it and going back to his family. Throughout the course of John Hughes’ Ferris Bueller’s Day Off, the titular Ferris has the perfect day. He successfully fools his parents into letting him take the day off, hacks into his school computer, and spends the day touring Chicago - including taking in a Baseball game, a trip to a the Art Institute of Chicago and fancy restaurant, and singing on a parade float. It’s an impossible day, and he does it all while his parents are busy at work. How is he able to visit all of these locations, elude his parents and Principal, and stage a complete choreographed parade song? Who He Really Is: Rather than a senior about to graduate high school, Ferris is a middle manager at a successful business run by his very wealthy father. He’s disillusioned with his life and prefers to spend his free time visiting 80’s Chicago-World. The role he’s chosen harkens back to when he was popular and well liked in high school and by the time we see him in the movie he’s done this particular storyline so many times he’s trying to see how far he can push it. He’s bored, he’s rich, and the only real joy he gets in life is spending time in 80’s Chicago, pretending to be a popular high school kid that lives out the perfect day.